The finished Sewing Room Stand. When I had this thought, there were four days remaining before my guy was leaving for a week in Florida with his cousin. And I had Friday afternoon lessons to accompany and a Friday night rehearsal, as well as a Sunday afternoon rehearsal before Sunday evening dinner plans. Could I make the Sewing Room Stand in that amount of time? Fortunately it’s a very easy make. No zippers. No hardware. Just fabric and interfacing and seams. So make it, I did. The saddest moment was when I went to test it after stitching the last stitch and trimming the last thread tail. 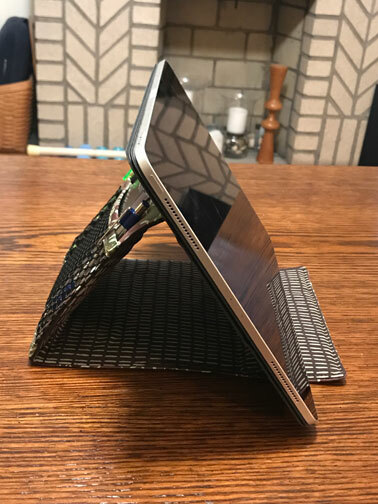 I leaned my big iPad Pro up against it, and down it went. 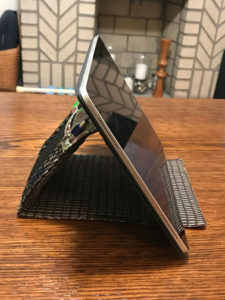 It wouldn’t support the 2018 iPad Pro! So I took it up to the dining room and leaned his iPad Mini against it. It wouldn’t support the Mini! Now what the hell was I going to do. I put my phone on it, and it didn’t really even support my phone. The pen and pencil saved the day. Then I remembered that I had bought him a small spiral notebook and a new mechanical pencil and pen. I ran back to the basement, grabbed those items, came back upstairs and put them into the mesh pockets on the back. Then I prepared to take a video of the stand collapsing. But it didn’t collapse! The pen and pencil on either side of the back was apparently just what the stand needed to support the devices. It didn’t collapse with the Mini on it. 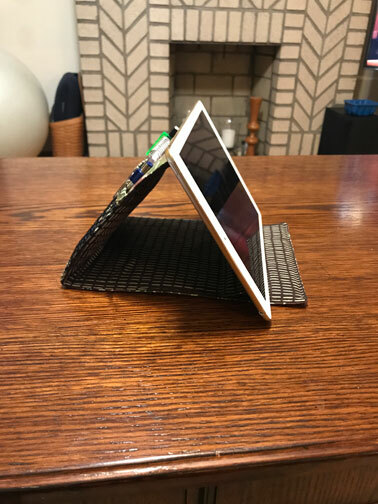 And when I took away the Mini and put his iPad Pro on it, IT STOOD UP! It supported the device. Yippee! Now I’ll just have to remind him to never remove the pen and pencil. Supporting the Gen. 1 iPad Pro. Folded and ready for the suitcase. 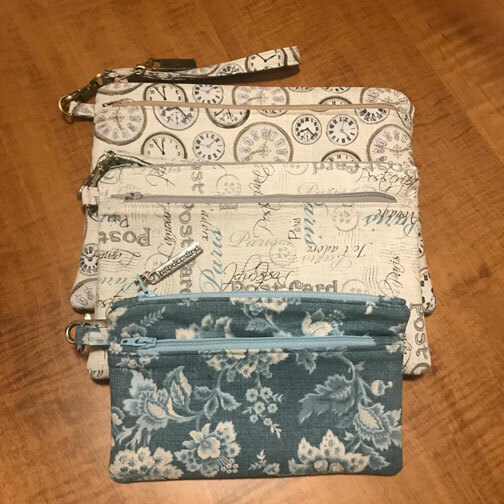 I decided to participate in a March bag swap among members of Sara Lawson’s Facebook group, “Sew Sweetness Sewing Patterns.” The organizer of the swap gave us a list of Sara’s bags and pouches that we could make for the swap. 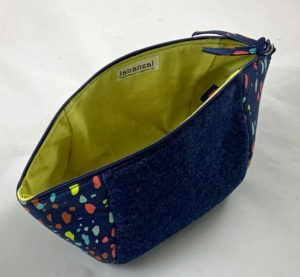 I chose the Bellevue Pouch, which is part of the Minikins Season 1 series of patterns. The Bellevue comes in three sizes: small, medium, and large. 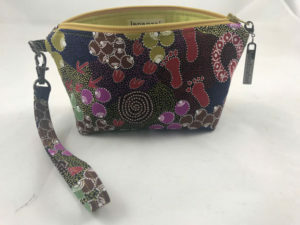 First I made the medium-size pouch out of the Australian aboriginal fabric that I had used several times for the Metro pouch. 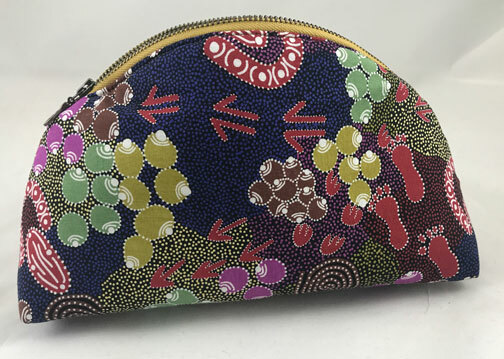 My DNA cousin, Barbara C., who shares a love of sewing with me, had admired the Australian print on some of the previous bags, and I was thinking of her the entire time I was making my first Bellevue. 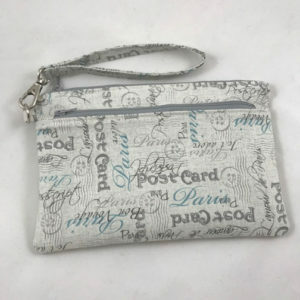 When I first posted the photo in the group, and she admired it, I asked if she would like to have it, as so many thoughts of her went into the making of the pouch. She said she’s love to have one of my bags. So off it went to Kansas City to live. Then I got started on the two bags, a medium and a large, for my swap partner. The medium is made from two companion Bali batiks that I bought while in Bali last summer. 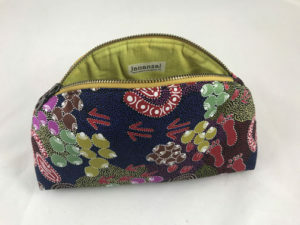 For the large, I dipped into my stash and pulled out some Hoffman “Picnic Social” in the Aurora colorway for the exterior fabric, with lining of Carrie Bloomston’s “Scratch” in the Olive Oil colorway. 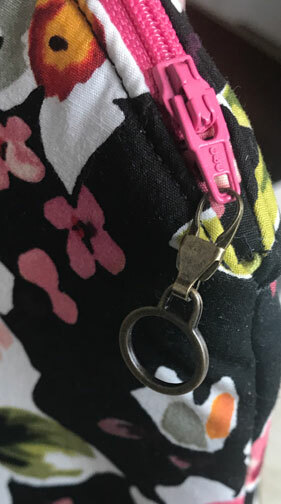 I love the “handcrafted” zipper pulls from Emmaline Bags. I keep forgetting to iron in my “Jananza!” labels before assembling that bags. Finally, finally on the large Bellevue, I remembered to fuse the label to the lining before sewing it to the zipper. Whew! And here are pictures of the zipper pulls—on the left, the pull from Tokyo, and on the right, the Emmaline pull. What did I learn on these bags? First off, pressing the curved zipper, especially the second side, is very difficult. 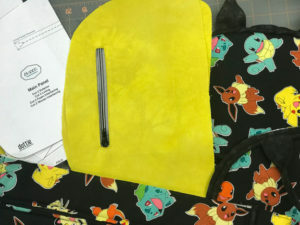 Ditto on difficulty for topstitching that curved seam. And pressing when the bag is done? Oy! The other thing I learned it that I should have changed my bobbin thread to match the lining for the topstitching on either side of the zipper. I don’t like the “olive oil” fabric with black thread. Oh, well. I’ll remember next time. Or not. It’s a toss-up whether I’ll now keep remembering to fuse the label in ahead of construction. Aging is not for sissies! Have you been buying some bits of the wonderful new cork fabric that’s all the rage nowadays? And maybe you’re not quite sure what to do with it? I’ve got the answer! If you watch Facebook or Instagram or this blog to see what I’m making, you’re aware I’ve been making a lot of Sew Sweetness bags lately. One of the really brilliant things Sara Lawson does for most of the bag patterns she makes is to create a video covering the construction of the bags. 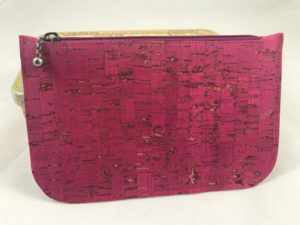 Recently she has begun importing cork fabric and offering it in her online store. Her cork (unlike some I’ve purchased from other shops) is very high quality. 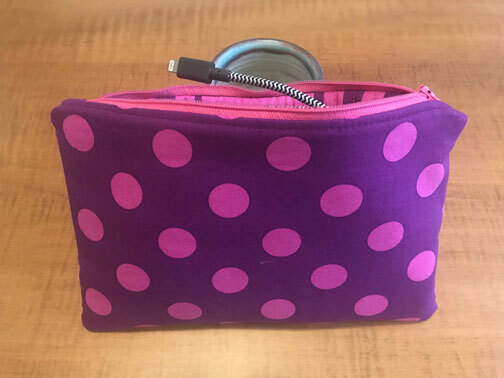 A couple of days ago, while preparing for a Sew Sweetness bag swap in which I’m participating, I noticed a free pattern for a little cork pouch that sews up in about ten minutes. And it had an accompanying video. Here’s the link for the free pattern and video. 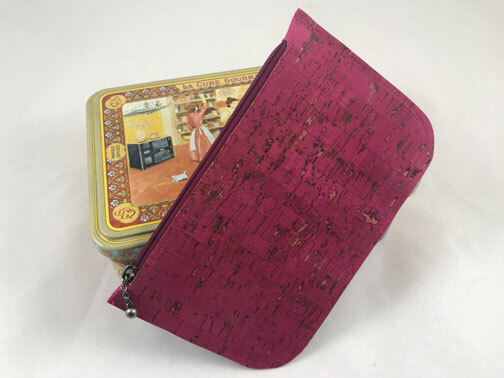 And here’s the link to buy some of Sara’s cool cork fabric. A friend of mine has been battling cancer lately. I had a small fundraiser for her on my Facebook bag page and needed to send her a check. But I didn’t want to just stick a check in an envelope. So this little cork pouch pattern jumped off the page and said, “Make me.” Of course. Look at this sweet little pouch. Doesn’t it look like it was designed just for the purpose of holding a check that will help just a little with my friend’s medical bills? Yes, it does. And it’s such a vibrant color. 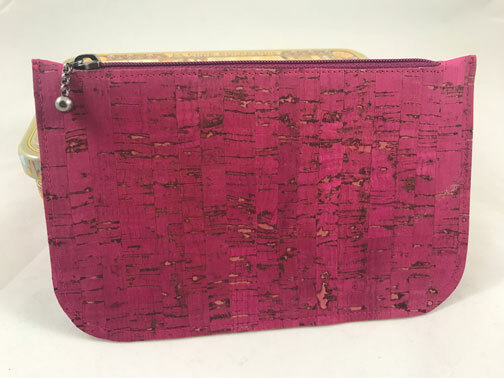 Playing with this little piece of cork made me start thinking about all the other things I could do with this pouch to make it even more special. What about a little appliquéd flower or bird? Or some hexies in bright colors to tie together complementary colors of cork and zipper? If you’re an embroiderer, either hand or machine, what about a cute little design embroidered onto the cork? So many possibilities. 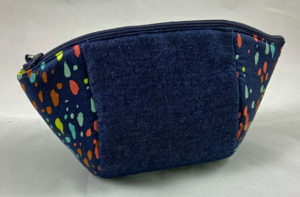 What might I have done differently in constructing this pouch? Only one thing that I can think of. I wish I had a deep rose Sharpie or some Tsukeniko ink to color the raw edges to match the cork exterior. That’s all. 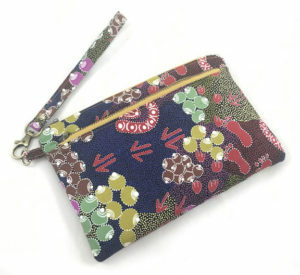 Otherwise this little pouch is practically perfect [in every way]. 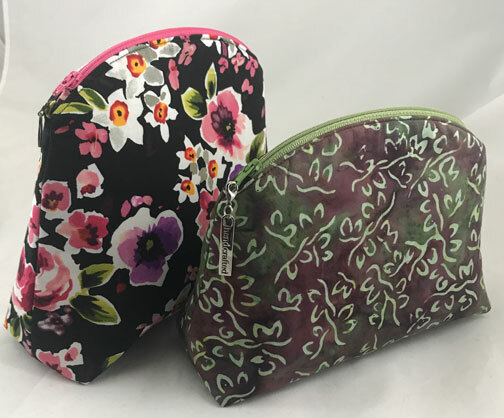 As I mentioned on this afternoon’s bag post, I’m making a few Metro Double-Zip Pouches from the Sew Sweetness Minikins 2 collection. 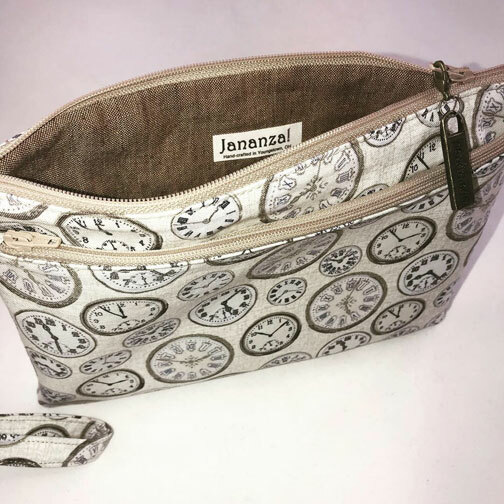 The bag, as designed, calls for SF-101 interfacing on the exterior and lining fabrics and the wristlet handle. 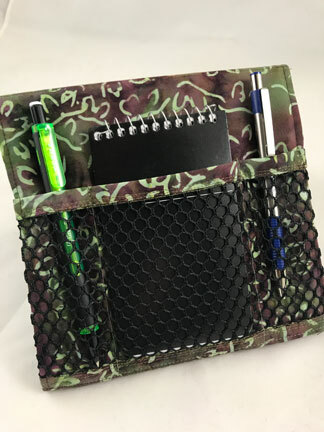 I wanted it a little thicker, as we travel a lot and I like the idea of having a quick place to stash my phone and/or my passport. 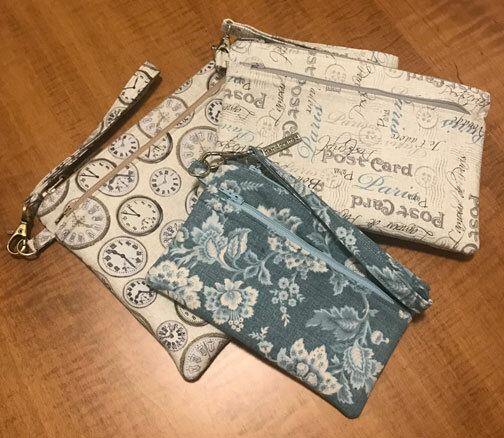 I made the medium size bag—the main pouch pattern piece is 9″ wide and 6″ tall; the pocket piece is 9″ wide and 5″ tall. I cut fusible fleece interfacing for the exterior pieces, and cut them without the seam allowance, i.e. I cut two pieces of fleece 8″ x 5″ and two pieces 8″ x 4″. I centered those on the the wrong side of the exterior pieces and fused them in place. Then I cut SF-101 the same size as the pattern pieces—9″ x 6″ and 9″ x 5″. I fused those to the exterior pieces, further securing the fleece in place. 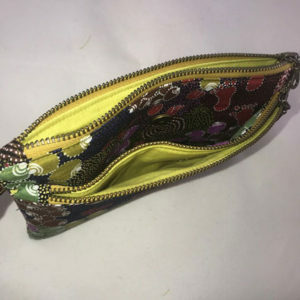 The pattern, as designed, only uses one exterior piece for the pocket and secures the back of the pocket, just inside the zipper, to the main front pouch piece. 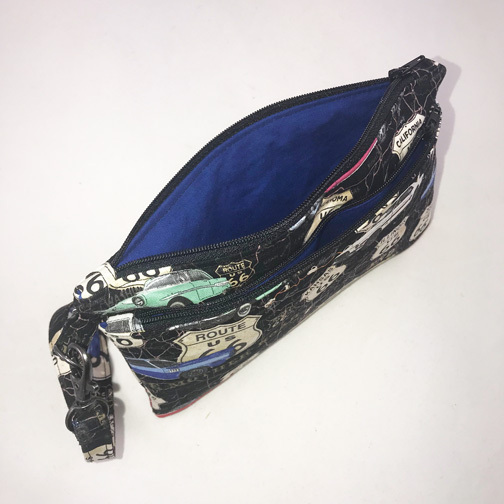 I made the pocket with both a front and back exterior piece and only secured it to the main front exterior at the sides and the bottom. 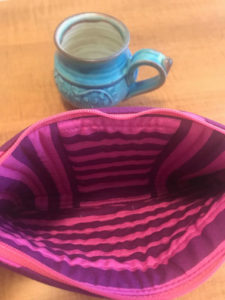 By doing so, I created an open pocket between the front pocket and the main pouch. Before sewing the pocket closed, I attached the male side of a magnetic snap to the back of the pocket, and the female side of the snap to the main front exterior piece. Now I have a wonderful secure pocket in which to stash my phone or passport when traversing the airport. It’s the perfect size to tuck into my underseat carry-on once I’m in my plane seat. Perfect for our midwinter flight to Cancun! Compare the picture of this bag to the picture of the bag that follows. I hope you’ll be able to see the difference between the middle open pocket and the pocket that’s attached to the bag. The pattern calls for a #3 zipper, which is the standard dress zipper size. I used a #4.5 zipper with antique brass metal teeth. This made for a much bulkier closing, and made it more difficult to sew the closing. I like the look of these zippers on this bag, but I don’t know that I’ll do it again. I have my second Metro cut out, and I have #3 zippers set aside for that bag. We’ll see what I think when that bag is finished. The exterior fabric is Australian Aboriginal designer fabric, “Bush Plum Dreaming” in blue, designed by Juliette Nakamarra Morris for M & S Textiles Australia. 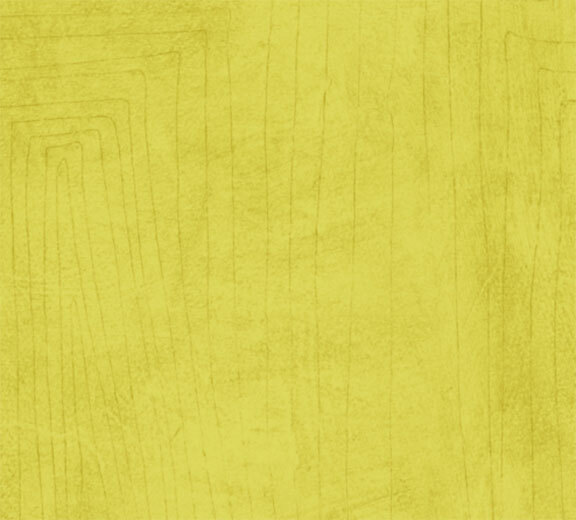 The lining is Carrie Bloomston’s “Scratch” in color Olive Oil from her Collage collection for SUCH Design. The zippers are YKK Antique Brass Donut Pull size 4.5 in Monster Snot (really!) from ZipIt on Etsy. The second Metro pouch has the same double interfacing—fusible fleece and SF-101 for the exterior pieces as the first—but it has one fewer exterior piece. I made it without the extra pocket between the pocket and the body. That is, I cut it as directed in the pattern, adding the three pieces of fusible fleece. I used the #3 zippers, as recommended in the instructions. The sewing is much easier with the thinner zippers. The exterior fabric is from Blank Quilting, their American Dream collection, showing Route 66 and classic 50s American-made cars. For the lining, I wanted a solid in the same color as one of the cars in the print. 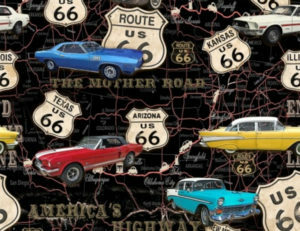 When I dug through my stash of hand-dyed fabric, I found an intense blue that was exactly the shade of blue as the Dodge Charger. I dyed it about 15 years ago and it’s been just hanging around waiting for the perfect project. And I love how it looks. So #2 is complete. Now I want to make one more, without the fleece, just to see how different the three are. I had started a different Sew Sweetness bag with this Tula Pink Stripes and Pom Poms in Foxglove, but my Bernina 330 and I were having an argument that day, and she was being obstinate (something my adoptive mother used to accuse me of being…). I unsewed everything from the 12″ square of the stripe and set it aside. 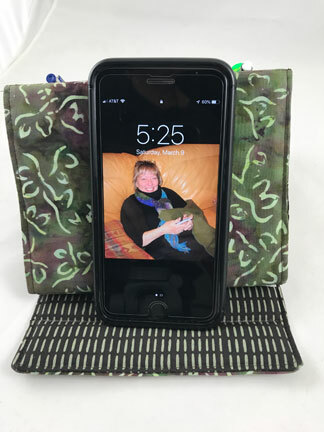 A few days later I decided to quilt it to the piece of Pellon Foam Flex and make another foam-interfaced Metro pouch. But the unsewing from the previously attempted bag had left too many loose and snagged threads hanging out. 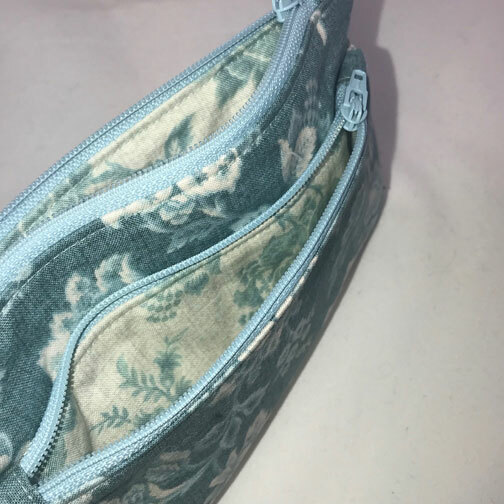 So I thought I’d use it as the lining for a Metro (after piecing it to have enough lining), using the Pom Poms as the exterior fabric. 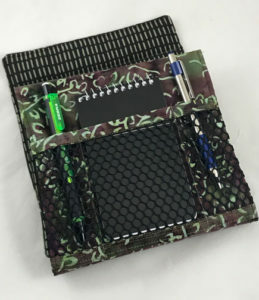 And I decided to leave the pocket off, just making a single pouch to hold my page turn pedal. 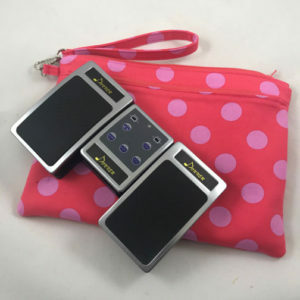 Despite my measuring twice and cutting once, the pedal wouldn’t fit into the pouch. But the pouch was cool—very cushy and protective for something that needed protecting. Ahhhh. The charging cables I carry with me to lessons and rehearsals. So on to the real bag #3. 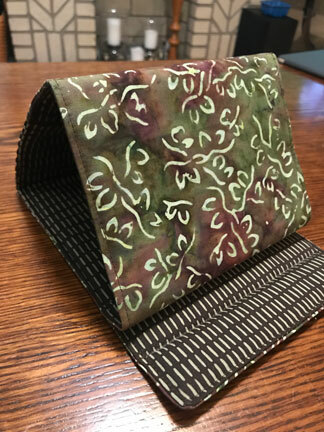 My second try at a bag to hold my page turn pedal turned out beautifully. 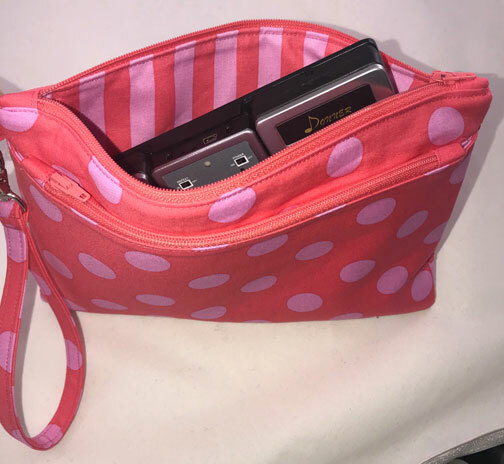 I cut the Large size of the Metro Double-Zip Pouch, and the pedal fits as if the bag were made for it. Oh, haha, it was. The Stripes and Pom Poms, in Poppy, coordinate with the Tula Pink All Stars Frog print in Peony. The zippers are Coats “Flamingo” and I love these shades together. The most time consuming part of this project is the cutting and interfacing. 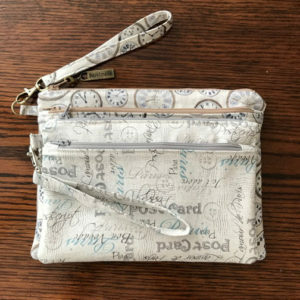 Sara Lawson offers acrylic templates for many of her bags. These can be used with cutting machines such as the Cricut. (I know nothing about these machines, so can’t even tell you the various machines these templates fit. 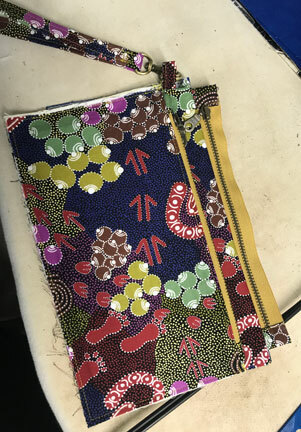 But if I’m going to continue making these bags and move forward to selling them, I’ve got to invest in one of the machines and the templates. It will make a big difference in the construction time! 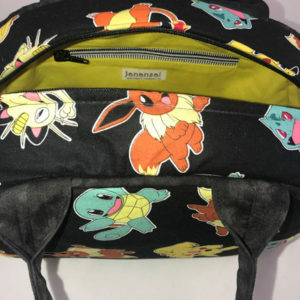 Nothing extraordinary to say about this bag, except that I’ve got this pattern down now. Oh, this bag used fleece, as did numbers 1 and 2. I have two more bags cut out downstairs, that use just Pellon SF-101 rather than the fleece. It will make a thinner bag without all the cush. Now, rather than sitting here and watching the snow fall, I’m going to go back downstairs and see how quickly I can finish these two bags. You might be wondering what a “page turn pedal” is. I’ll share with you the answer I gave this morning to a couple of women on the Sew Sweetness Facebook group, who asked just that question. You’ll see in the picture that the device has two pedals. The right one turns the page forward and the left one turns the page back for repeats or in the event of my accidentally tapping it twice and turning two pages. Because of the pedal, I don’t have to miss notes in the score to turn pages. The pedals are used my many instrumentalists and conductors – not just pianists. It’s truly a stress-preventing tool for me. 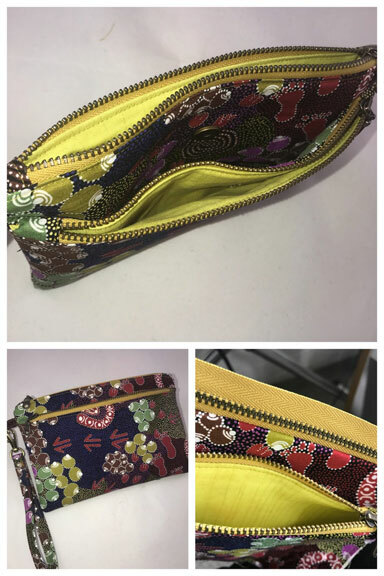 The Metro Double-Zip Pouch comes with instructions for three sizes. The Large is 10-1/2” x 7-1/2”; the Medium is 9″ x 6″; the Small is 7&half;” x 4¾”. My next Metro exercise is to make the three sizes in similar fabrics with SF-101 interfacing so I can see how they compare. Here’s the Large in Makower Vintage Clocks. 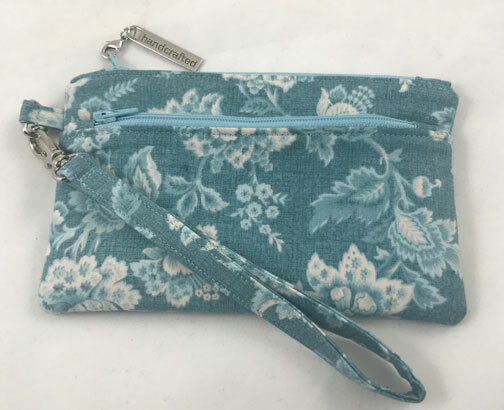 The lining is a top-weight linen in Tobacco from Jo-Ann’s. The hardware is from Dritz, purchased at Jo-Ann’s. 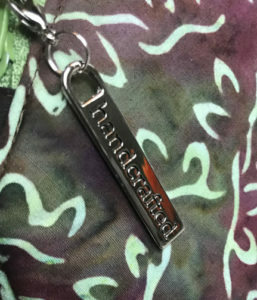 The “Handmade” zipper pull is from Emmaline Bags. This picture shows the Medium laid on top of the Large to clearly show the size difference. The Large is 10-1/2” x 7-1/2”; the Medium is 9″ x 6″. I’ve cut out the small in Vintage Floral. Will fuse the interfacing in tonight and start the construction and hope to finish the small tomorrow. Then you’ll see a third size-comparison photo. On this Martin Luther King, Jr. federal holiday, the high in Northeast Ohio is 13° (it was 2° when I got up at 6:00 a.m.). At least right now there are blue skies and some sun. I hope it’s warmer where you are. Here’s the small Metro. It’s 7&half;” x 4¾”. What would I use it for? Probably to keep little stuff together in my purse. Or to carry my debit card and a credit card, some folded up dollar bills, and a lipstick when out and about. Oooh, to give a gift card to your favorite niece or sister for a gift occasion. Or a soon-to-be mom with a gift card for her baby shower. It would then become her favorite tuck-into-the-diaper-bag baglette to carry her ID when out on a walk or outing with the baby. So many possibilities. Now you want to see all three together, don’t you? I did! I couldn’t wait to be able to shoot this picture. I highly recommend this bag pattern. 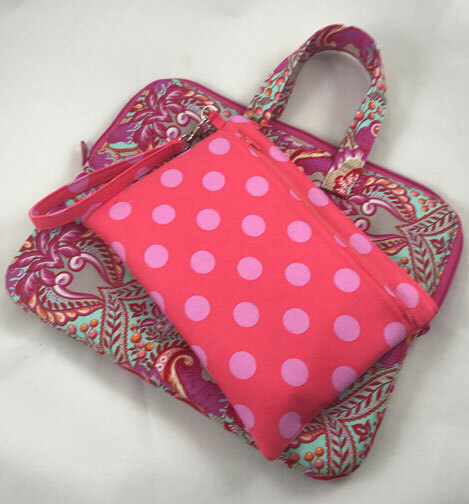 The Minikins Season 2 set of bags from Sew Sweetness costs $80 for 13 patterns and videos. It’s great for stash-busting. (If you’re not familiar with that term, that means using up all the small pieces of quilting fabric that have been mounting up in your sewing room.) 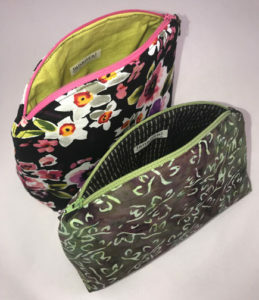 When you see how quick and easy these bags are, and how much the videos help you quickly master the pattern, you’ll see how worthwhile that $80 expenditure is. 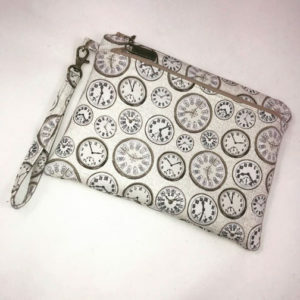 I’ve already had several friends request to buy the bags. Tonight I’ll be putting together a page with photos and prices and will quickly earn back the amount I spent on the Minikins. 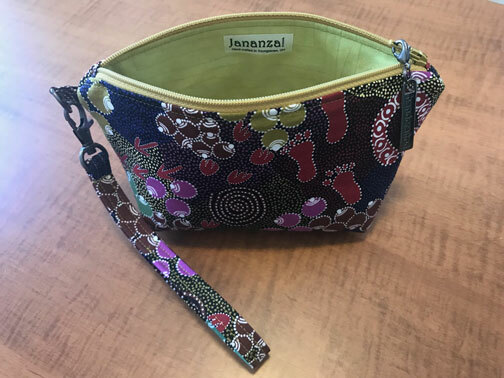 Just when I thought I was finished with the Metro Double-Zip Pouch, I realized I wanted to duplicate Bag #1 with a cross-body strap rather than a wristlet strap. 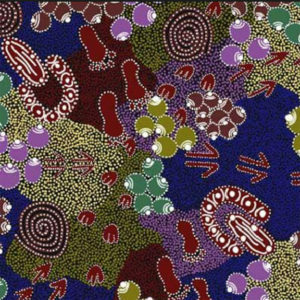 Bag #1 is one at the top of the page in the aboriginal print from Australia. The plan was to put two of the D-rings above pocket #1, one on either side. I have a skinny faux leather cross-body strap that I purchased from U-Handbag in the United Kingdom. Her shipping prices are reasonable, and I was surprised at how quickly the strap arrived. The skinny strap will attach to the two D-rings and I’ll wear the bag crossbody to hold my phone and passport while we’re traveling to a Mexican resort in two weeks. I cut all my pattern pieces and the interfacing last night, including pieces of fusible fleece an inch smaller lengthwise and crosswise that the pattern dimensions. This morning at 7:00 I went downstairs and fused everything. After breakfast I started sewing. (Schools were closed yesterday and again today for the Polar Vortex. It was -1° when I woke up. Sew Day!) I made the first pocket, then reached for the 6″ high piece to attach the first pocket to. Oh. No. I had used the 6″ piece for the first pocket. All that was left was the 5″ high piece. There were two options for me: I could grab a seam ripper and undo everything, or I could start over. 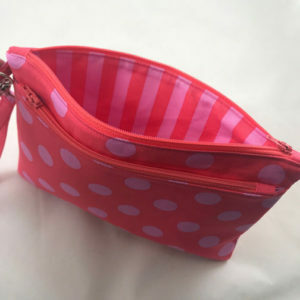 I chose the start-over option, but first I used the perfectly made “pocket” to make a boxed-bottom pouch. 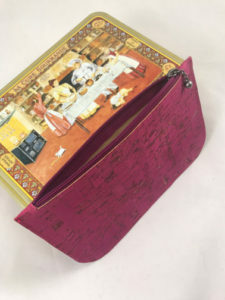 I cut a 1&half;” notch out of the bottom corners of the two exterior and two lining pieces, sewed up the sides, boxed the bottom, turned the bag, pressed, and sewed up the opening. Love.love.love this little bag. I had had a long text exchange with my sewing partner, who lives 2,500 miles away in Portland, OR. This bag will go off to her tomorrow, along with a two-yard piece of silk for her to use in her shibori dyeing. Everybody wins. So that’s it for this edition of “Can a Sewist Have Too Many Bags?” (The answer is a resounding “No!”. I won’t add the Metro crossbody to this blog post, but will give it its own page so I can fully document the steps. Thanks for reading – or scanning. I know this was a lot of words. I hope you enjoyed seeing the pictures. YSU’s winter break was four weeks, which gave me plenty of time to both practice and sew. Yea! I’ve been working my way through Sew Sweetness’s Minikins and Minikins 2 sets. 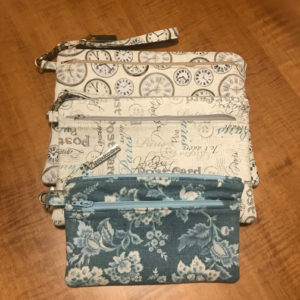 And by “working my way through,” I mean I’m trying to get one test bag made of each of the simple bags Sara Lawson has included in these sets. I started with the Cotton Candy Pouch, which has only two pattern pieces (actually, one is just a rectangle – no piece, just the dimensions). For interfacing, it requires foam for the exterior and SF-101 for the lining. The zipper insertion is a little funky, but after several dates with my seam ripper, I finally got it. This bag is what we call a “stash-buster.” You can use bits of stuff that’s lying around to bring it to life. 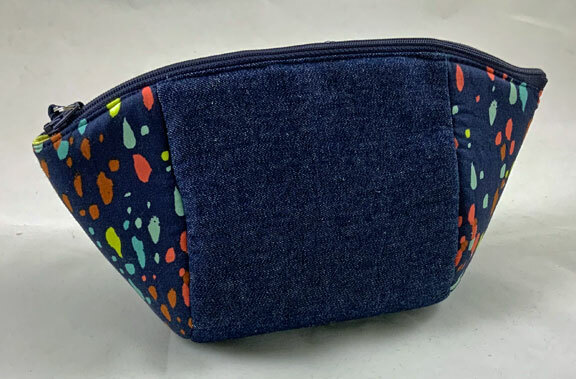 The denim for the side rectangles came from my stash box marked “denim.”  The sorta teardrop fabric on the ends is from Cotton+Steel about five years ago. And the lining is “Scratch” from Carrie Bloomston’s line for Such Designs, which has been languishing in my stash for about four years. The foam makes the bag stand up, rather than just folding in on itself. I don’t love the foam and am going to experiment with interfacing alternatives on a future version. 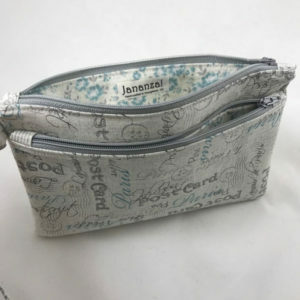 And now I’m working on the Metro Double-Zip Pouch from Sew Sweetness. Here’s the Metro, laid out on my ironing board’s ugly cover so I could show my sewing pal in Oregon what I was working on. More on that on a later day. While I was waiting to buy hardware for the Metro above, I jumped over to Swoon Patterns. 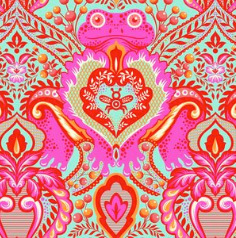 I bought some fabric several years ago for my eight-year-old Texas granddaughter who is a dancer. I wanted to make a small bag that could serve as a purse, although large for an eight year old, or that she could use on the weekends she spends with her dad. If she only had a few things to take with her to his house, this size bag would be perfect (in my mind). 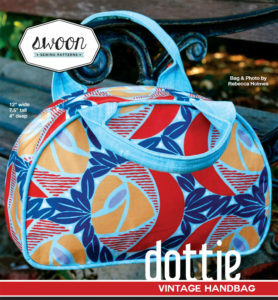 This is Swoon’s Dottie Vintage Handbag. 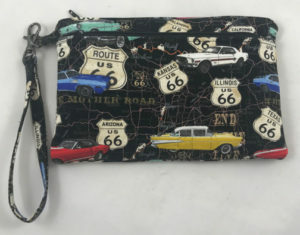 The pattern is no longer available on their website, but you might be able to pick it up on eBay or Etsy, if it appeals to you. And they have a newer pattern that looks very similar. The newer one is called the Olive Vanity Bag. I had about half a yard of Pokémon fabric left from a bag I made about three years ago for a friend’s son. I decided to use it up on this Dottie. My goal was to see if I liked the bag enough to make one for my grandsweetie. I normally shy away from piping on bags, but thought I’d give it a try, and it wasn’t too bad. I dug through my stash for a lining fabric to match one of the characters, but could find none I like. I had recently purchased some Kona Cotton in the pale neutral they call “Snow” to use for some dyeing experiments. i had some MX fiber reactive dye in Lemon Yellow and used a low water immersion technique, shoving a fat quarter of fabric into a quart canning jar. I loved how it came out, the gradations in the color caused by the wrinkles on the fabric in the jar. But it was a little too bright to match the yellow in the print. So I made a batch of strong tea (six regular-size Lipton bags in just enough water in the saucepan to cover the fabric). Voila! The shade of yellow was absolutely perfect for the Pokémon fabric. I’m thrilled with the outcome. 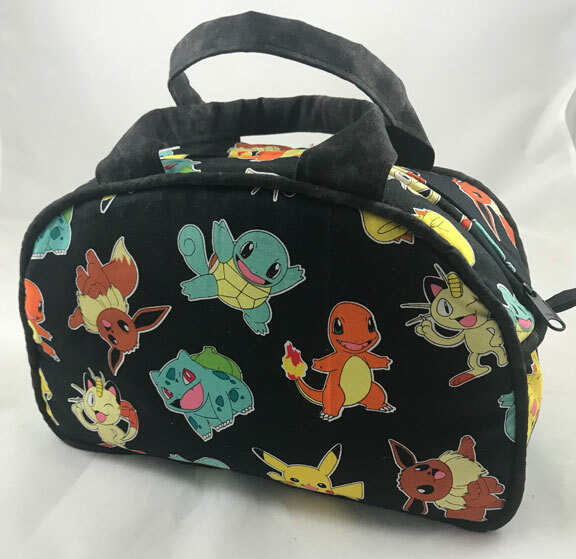 The great amount of work and all the fabric and interfacing that went into this bag was rewarded when a friend asked if she could buy the bag as a birthday present for her Pokémon-loving friend. She’ll drop by today to pick up the bag, and I’m very happy. Why am I happy? I learned a lot on these two bags, and they no longer live in my basement. Yea!